Menara Lemhannas is located within Medan Merdeka Square, one of the largest square in the world. 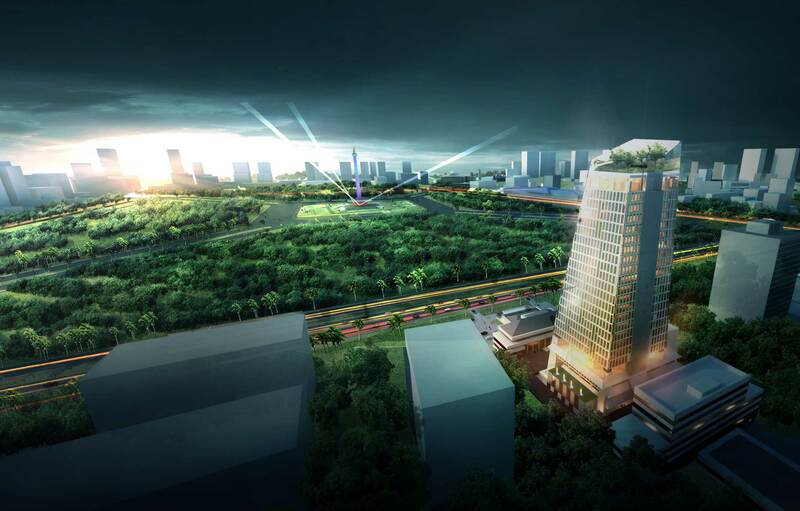 Surrounded by important government building such as Istana Negara (Merdeka Palace), National Library, National Gallery,and Governor’s office (Balaikota), Kind proposed an elegant tower with slender volume. The interior living landscape concept is integrated into the design by introducing double height loggia with garden facing Monas, and landscape deck at podium level, this enclosed public space on tower visually interweave with the square. The façade design for Menara Lemhannas is derived from Medan Merdeka Area strict building regulation and optimized day lighting and green building strategy.